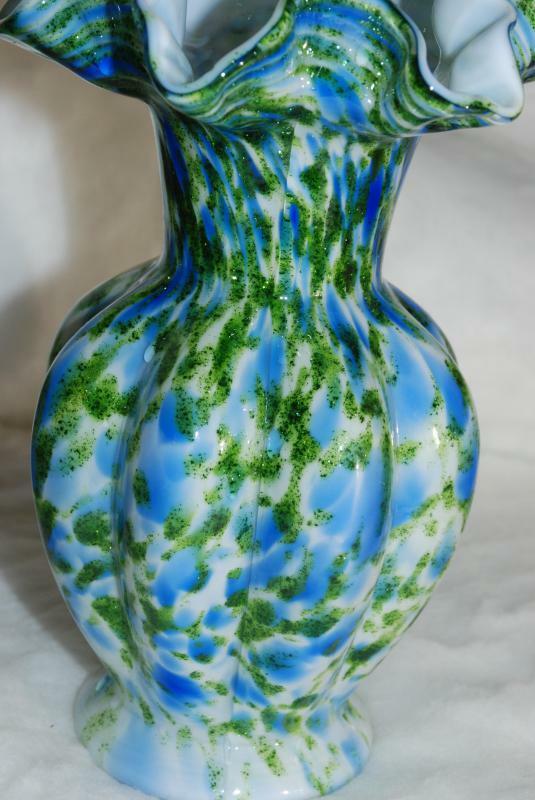 Stunning Fenton Vase Full of bright and vivid color! 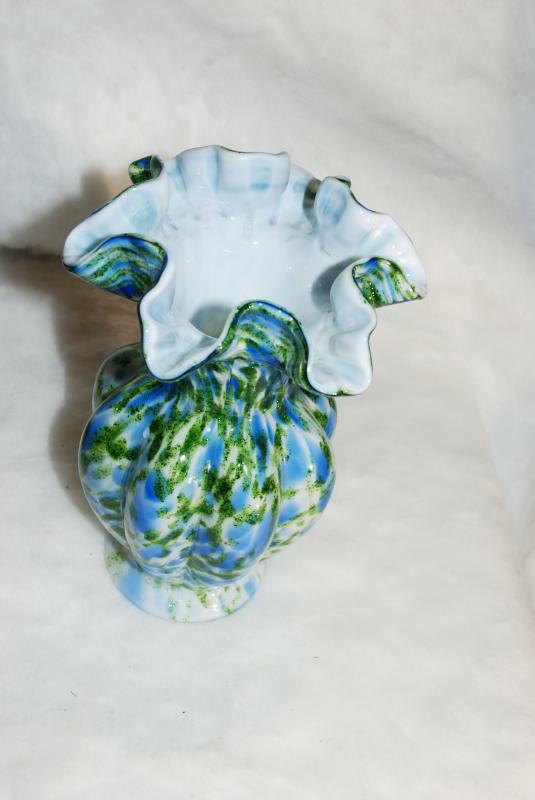 This is a beautiful Vintage Fenton art glass Vasa Murrhina ruffled edge vase. 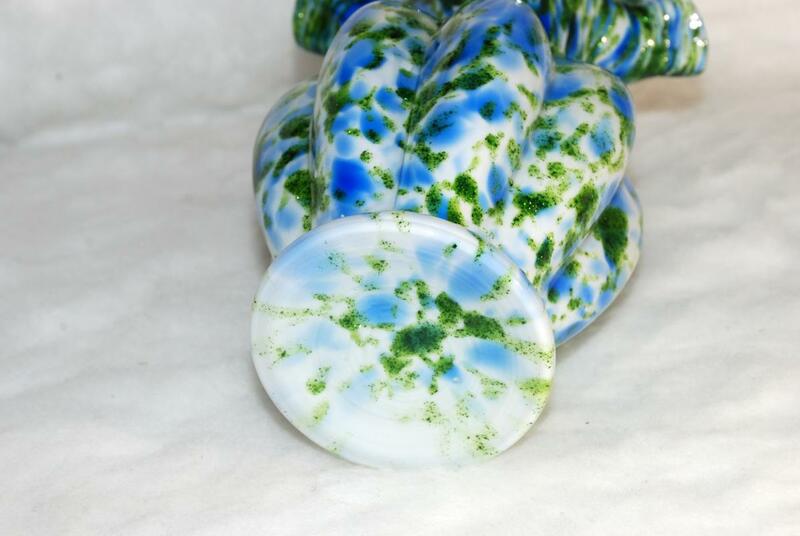 The colors are spectacular with a bright royal blue and bright true green aventurine flecks throughout! The bulbous mid section is melon shape . The cased glass interior is white. The vase was made by Fenton mid century or Circa 1960 and was also done in rose and green aventurine. A fantastic art glass vase! 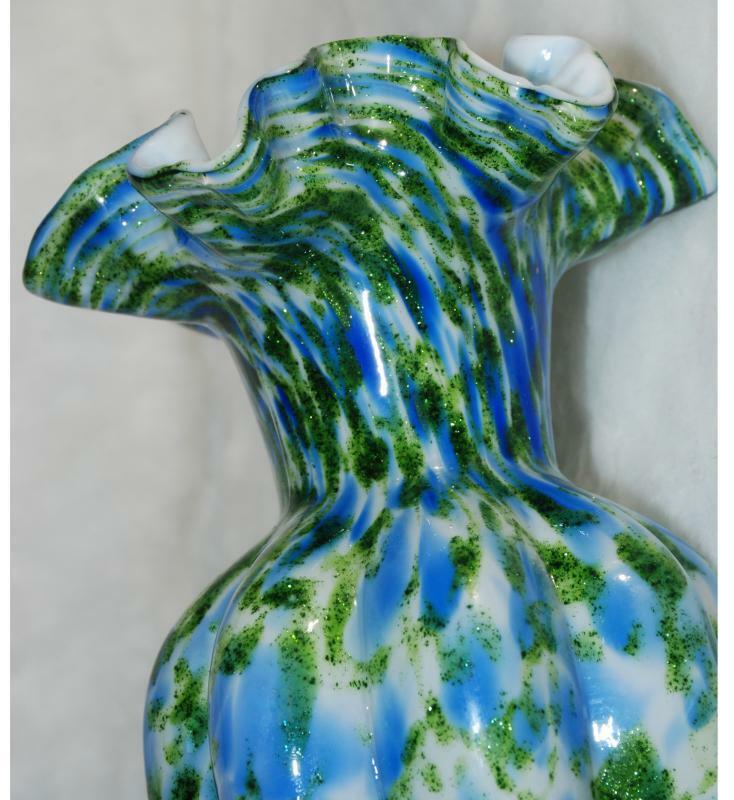 The vase measures approximately 7 3/4 inches tall or high and the ruffle top measures 5 inches across. The base measures approximately 3 inches in diameter. Excellent condition! No chips, cracks, nicks, or repairs. 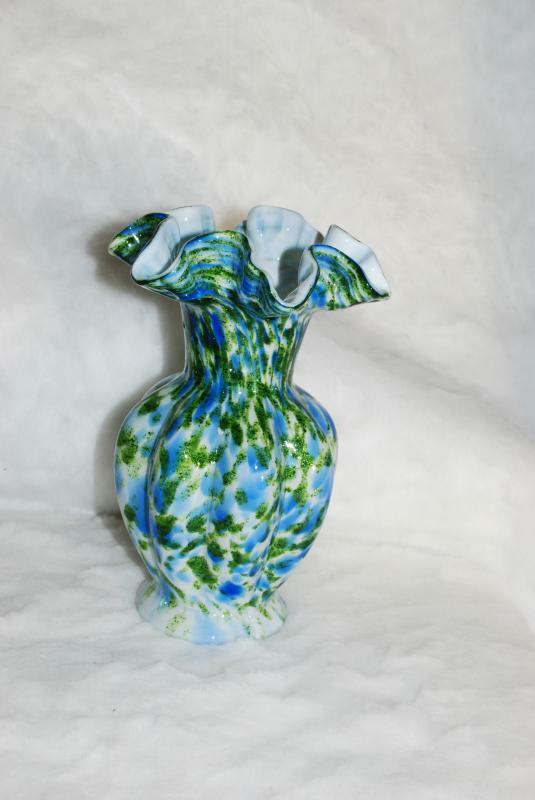 Items Similar To "Vintage Fenton Art Glass Vase Vasa Murrhina Blue Green Aventurine..."